Specifically Molded to fit an AR-15 Magazine. Tech-Lok back is adjustable for belt width and does not require you to remove your belt for installation. Tension adjustable screws for custom feel. 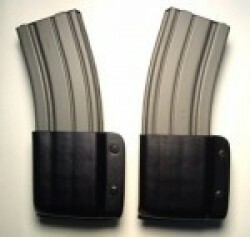 Fits 20 or 30 Round Magazines. Can be loaded either bullets front or rear.